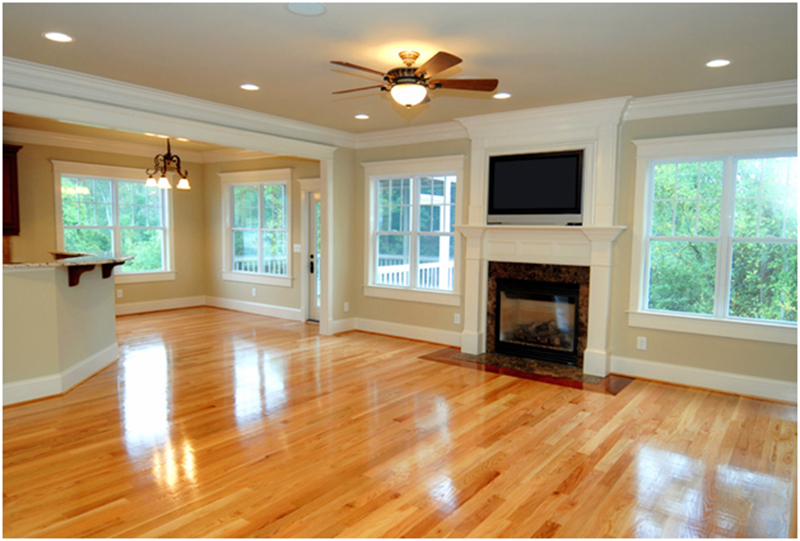 Hardwood floors are beautiful, durable and even healthier than carpets and rugs. At GoldStar Home Improvements we can either refinish existing hardware floors that have lost their luster or install new flooring that will dramatically change the look and feel of your home. Existing hardwood floors that has lost their luster and show the wear of years of use can be returned to their original grandeur. We will sand your floors – taking great care to contain the dust – and then apply multiple coats of stain and/or sealer to achieve the color and shine you desire. Hardwood floor refinishing usually is completed in 2-3 days. Hardwood floors come in a wonderful variety of materials and styles, from traditional oak to exotic species to environmentally friendly bamboo and cork. We will help you select the type of flooring that is best for your home, based on usage, foot traffic and your décor tastes. Hardwood floor installation usually is completed in 2-3 days. Whether we are refinishing existing hardwood flooring or installing new floors, we will work with you to minimize disruption to your home. Call GoldStar Home Improvements today for a free, no-obligation estimate. © 2014 GoldStar Home Improvement | All Rights Reserved | Web Services by TAG Online, Inc.